Due November 11, the package live footage spanning all four decades of their career and presents over two hours of unreleased material, including a rare performance of entire seven-part version of their 1976 classic, “2112”. 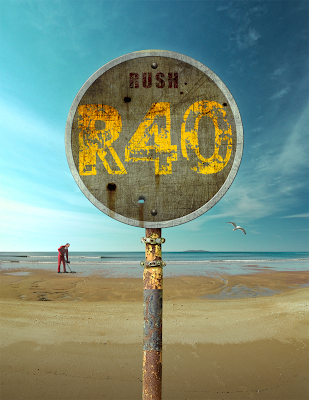 Available as 6-disc and 10-disc packages, “R40” includes “Rush In Rio”, “R30”, “Snakes & Arrows Live”, “Time Machine 2011: Live In Cleveland” and “Clockwork Angels Tour”, plus a bonus disc of previously unseen and unreleased live material stretching from 1974 to 2013. The bonus disc will include all 8 songs from the Laura Secord Secondary School show in 1974 which features original drummer John Rutsey. That recording includes two Rush originals, “I’ve Been Runnin'” and “The Loser”, as well as their cover of Larry Williams’ “Bad Boy”, made famous by The Beatles. The bonus discus also features 5 songs from songs from the Capitol Theatre in 1976 such as “Anthem” and “Lakeside Park”, the rarely performed full, 7-part version of “2112” filmed in 1997, “Lock And Key” from the Hold Your Fire tour, as well as footage from the band’s 2013 induction into the Rock and Roll Hall of Fame.